With the onset of November in the UK, the countdown to Christmas kicks in, as brands—ranging from department stores to designers, making everything from clothing to computers—begin to release their festive-themed campaigns. Tear-jerkers mostly, that tend to play to our sentimental side. However, aside from a few wintry scenes, Burberry’s latest campaign has little one would expect from a ‘Christmas ad’. For one, it doesn’t promote its products, and many of the items shown have been taken from the archives. Trace the fashion house’s trajectory and you’ll find that doing the unexpected is its forte. Right from 1856, when Thomas Burberry opened his first store in London and went on to create the waterproof gaberdine that is used in their iconic trench coats even today. The Tale of Thomas Burberry, as the new ad is titled, is a cinematic reimagination of the company’s history, enacted by a dapper Domhnall Gleeson as Burberry and accompanied by Sienna Miller, Dominic West and Lily James, who together will leave you starry-eyed. The three-minute video feels more like the trailer for a Hollywood film, complete with a fictitious love triangle, Arctic expeditions, World War I trenches and a transatlantic flight. Though loosely based on real events and with a good measure of poetic licence, craft and technology lie at the heart of the man and his vision. In spite of its rich story, by the late ’90s Burberry was considered to be just another dull English brand and not much had changed going into the 2000s. The company had begun shifting focus to younger customers, but the proliferation of its signature checks on everything from hoodies to diapers, and worse still its association with chavs, weren’t doing it any favours. When Angela Ahrendts joined as CEO in 2006, she was shocked to see that none of the senior-level managers wore Burberry. She swiftly centralised manufacturing to the original mills in Yorkshire, and put all design in the hands of then creative director Christopher Bailey. The pair chose to target millennials, the people who would be buying their products in the next 10 years. Together they led the company back to its roots—to the trench. The coat, designed in 1912 for soldiers who fought in World War I, is a study in careful detailing to maximise functionality — epaulettes were used to display military rank and the storm shield helps rainwater roll down the wearer’s back. The back pleat allows for ease of movement. Produced in Castleford, each piece requires over 100 skilled processes and takes about three weeks to complete. This single item of clothing, an impeccable piece of craftsmanship, personified everything that Burberry stood for. And that was a story worth telling. In 2009, Burberry launched Art of the Trench, a microsite which invited customers to send photos of themselves wearing their coats. It was a celebration of street style in a pre-selfie era, and the brand roped in Scott Schuman aka The Sartorialist to spread the word. Photos could be liked and shared on Facebook and links drove viewers back to burberry.com. Hitting one million followers on Facebook and a 50-per-cent increase in online sales from the previous year, the campaign showed the impact of going social on the company’s bottom line. The site continues to be updated with photos even today. One of the brand’s most revolutionary moves was adding a Buy Now button to specific tweets of photos taken in real time at London Fashion Week (LFW) Spring/Summer ’15. Allowing customers to buy directly off the ramp, Twitter worked closely with Burberry to launch the landmark feature on their platform. The flagship store on Regent Street in London is an ode to that most English of elements, the weather. The corrugated roof amplifies the sound of showers outside, while original content celebrates it inside. The retail space was also designed to blur the lines between its online Burberry World experience and interactions in the store. ‘Burberry Regent Street brings our digital world to life in a physical space for the first time, where customers can experience every facet of the brand through immersive multimedia content exactly as they do online. Walking through the doors is just like walking into our website,’ explained Bailey. Five hundred speakers and 100 screens throughout the space display runway shows and other content, and are also activated by RFID (radio frequency identification) tags embedded in certain products. When an item approaches the changing rooms for instance, a nearby screen plays footage related to that product, such as sizing information, outfit inspiration from the catwalk and more. Another way in which the label used technology to enhance the physical experience was through its Made To Order with Smart Personalisation concept. Digital chips stitched into the customised coats would unlock sketches, videos documenting the production and other content that spoke about the craft involved in the making of each garment. These films could be viewed on a smartphone or even projected on a screen in the Regent Street store. 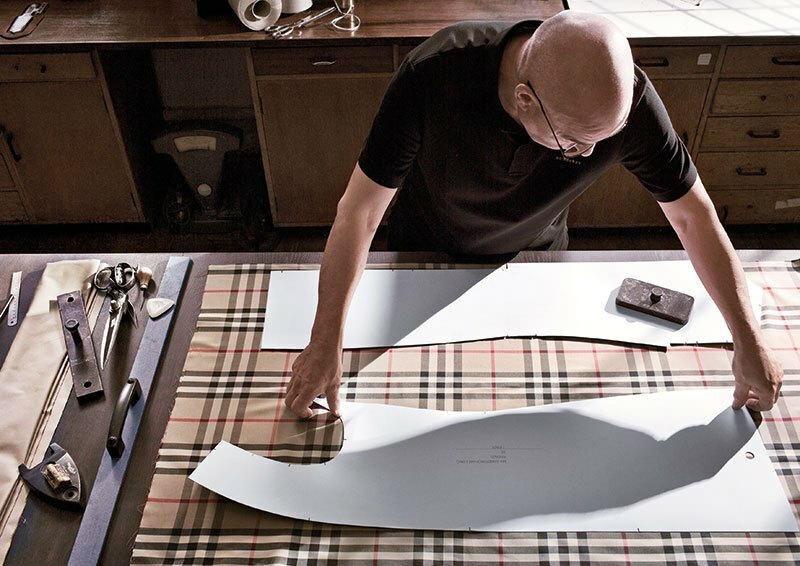 These invisible, thoughtful touches of technology and their ability to translate the one-on-one service one expects from a luxury house to the virtual realm are just some of the reasons why Burberry was named one of Fast Company’s most innovative brands. As beautiful as the Wool Cashmere Military Cape Coat is, in the balmy Indian climate it can be a tough sell even for the most compulsive fashionista among us. In February this year, Burberry announced the end of its seasonal collections, moving towards two shows (simply referred to as February and September), instead of the typical four, in an effort to ‘align runway with retail’. Explaining the decision, Bailey said, ‘It often felt slightly superficial to be talking about an autumn/winter collection, when it’s 90 degrees in a third of the shops we’re selling it in. We are a global company and the world is not one weather pattern.’ While smaller brands have embraced this model, it was among the first luxury labels to do so. At the end of last year, they had also streamlined Prorsum, Brit and London under one umbrella—Burberry. 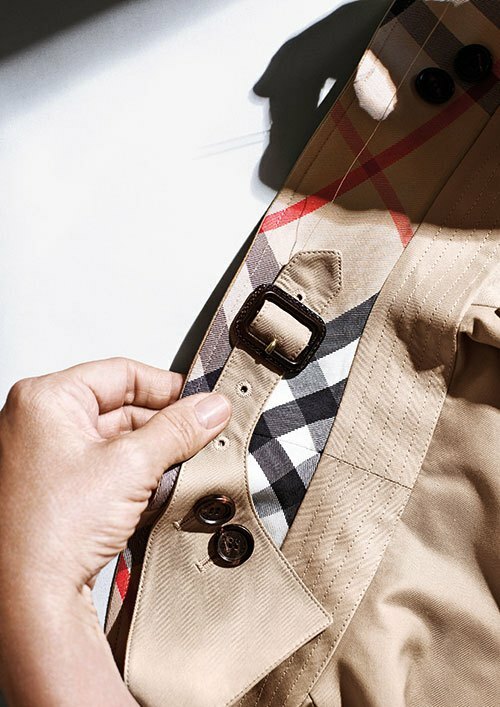 Making the clothes available almost instantly creates an unprecedented level of immediacy, aligning with Burberry’s mission to always be current and on top of their customers’ minds. The latest film has already raised speculation about what might be in store from the British brand, but there’s no doubt that craft, design and innovation will be at the core. The company’s in-house think tank, the What If Group, meets regularly to hash out new ideas that will shake up the fashion industry’s status quo. And somewhere, Thomas Burberry is smiling down in approval. This article originally appeared in Verve magazine, December 2016.